Harpreet Dhillon & Jassi Kaur release their brand new single on Planet Recordz entitled “Coke” produced by DJ Rax!! 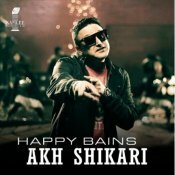 Check out the brand new single released from Happy Bains featuring the popular Cheshire Cat and music production from DJ Rax!! ARE YOU DJ Rax? Contact us to get a featured artist profile page.